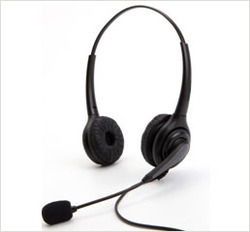 - Headsets for Telephone, IP phones, Dialers. 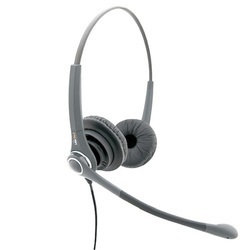 The DH-027T series is an extremely durable headset for demanding use in office and call center. The large ear cushion blocks surrounding noise outstanding. Acoustic Shock and Anti Static Protection are natural with the DH-027T and offers you security for a "protected" telephone call. - The cushioned adjustable headband lets you dial in the perfect fit, while soft memory foam ear cushions mold to your ears.